At the upcoming 2017 International Defence Exhibition and Conference (IDEX), Feb.19-23, in Abu Dhabi, UAE Harris Corporation (NYSE:HRS) will be displaying a large assortment of products and integrated systems that help customers connect the battlefield. 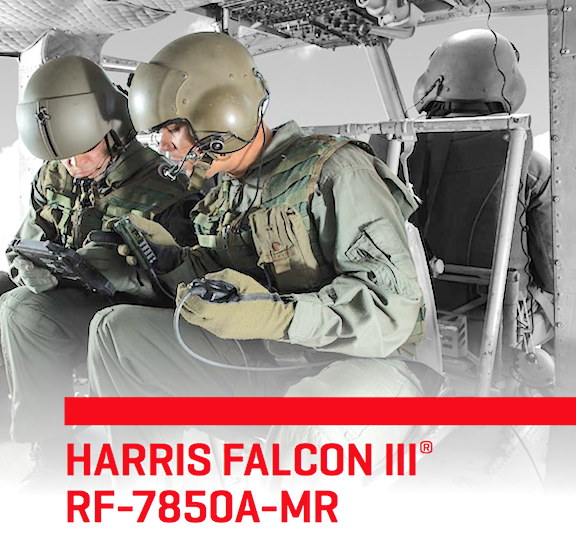 Harris Falcon III® RF-7850A-MR Multi-channel Airborne Networking Radio: World's first certified airborne two-channel networking radio extends ground tactical capabilities to the aerial tier. Harris hC2T Software Suite Command: A complete command and control solution that connects all echelons and provides a common operational view with real-time intelligence. Harris Falcon III® RF-7850M-HH Multiband Networking Handheld Radio: Delivers the power and performance of a manpack in a ruggedized, SWaP-friendly handheld radio. 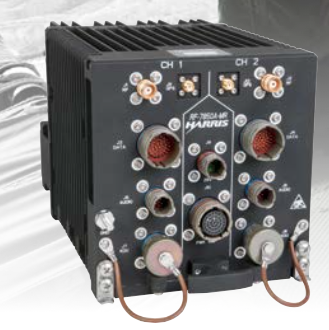 Harris Falcon III® RF-7850M-V51x Vehicular/Base Multiband Radio System: System provides superior Combat Net Radio performance and flexibility. BeOn® Secure Group Communications Application: Secure group-communications app that enables Push-to-Talk (PTT) and real-time location and presence information. CorvusEye: Wide Area Motion Imagery (WAMI) system helps users monitor activity, track movement, and gather critical intelligence over a city-size area. T7 Robotic Explosive Ordnance Disposal (EOD) System: Robot features intuitive control and human-like dexterity - making it easy to complete complex tasks with minimal training time.